Brioni end-on-end woven dress shirt. Contrast spread collar; French-placket button front. 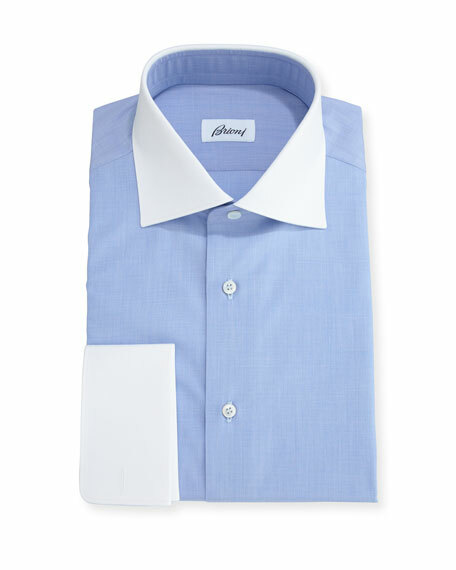 Brioni solid sateen dress shirt. Point collar. Mother-of-pearl button front. French cuffs. Yoked back. Fitted style. Shirttail hem. Cotton; machine wash. Handmade in Italy. Cuff links sold separately. Ermenegildo Zegna dress shirt in solid textured weave. Point collar; French-placket button front. Mitered barrel cuffs. Shirttail hem. Cotton. Machine wash. Imported. Ike Behar Gold Label woven dress shirt in tattersall. Spread collar; French-placket button front. Adjustable, rounded cuffs. Yoked back shoulders. 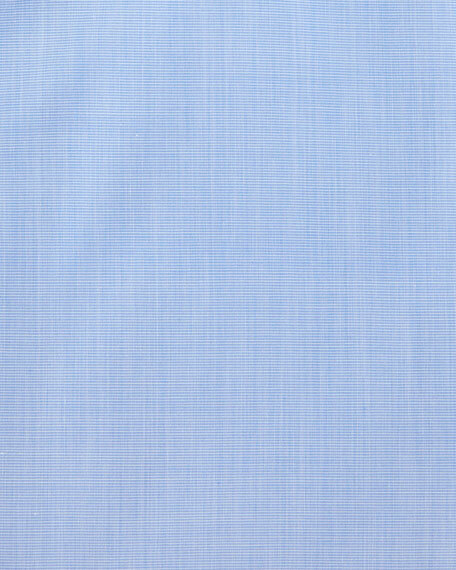 Ike Behar "Fredrick" dress shirt in grid pattern. Spread collar; button front. Rounded barrel cuffs. Cotton. Made in USA of imported material.